With us you can plan the itinerary best suited to your needs, and then change it based on unexpected necessities. You can go shopping in the best and most famous fashion districts with free access to limited traffic areas and preferential lanes without worrying about the meter running (the all-inclusive rate is agreed upon at time of booking), all, always with the security offered by an elegant, professionally trained driver who will assist you with the utmost discretion and confidentiality. With our services you can be assured that when you arrive at any station, port or airport, you will always find your trusted driver waiting for you, ready to solve any problem and always with maximum availability. Whether it's a business meeting, vacation or pleasure trip, with GC Noleggio Auto you are always guaranteed class, elegance and safety with the maximum comfort. Companies have difficulties handling guests outside the office, such as during transfers, something that is even more difficult when they are foreigners. In any case, the welcome must always be impeccable and appropriate to the situation. We are also able to put guests at ease and entertain them, where appropriate providing cultural and tourist information, advice on entertainment venues, restaurants and hotels, not to mention handling unexpected events and delays in flight arrivals or departures. Our drivers are at your complete disposal for the delivery of urgent and especially important documents, guaranteeing fast, on-time delivery with the security of an efficient and confidential service. Fast delivery, also using large-displacement motorcycles. Organizing transfers during trade fairs, congresses and meetings. Dedicated car services for hotels, photo shoots, events, film sets and fashion shows. 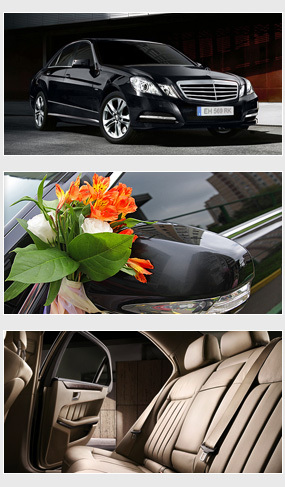 We guarantee the drivers' availability, sophistication, class and confidentiality. In addition to transferring your customers to and from airports, ports or train stations, our staff is able to complete all official paperwork and to assist guests at check-in, replacing the presence of your staff, with obvious cost savings. In addition, our staff can easily handle arrival delays, are always present and available for fast and safe return. Dealing with the trip from your home to the airport, leaving your car in the parking lot (for a charge) and on the way back after the trip, also having to deal with driving home can really be uncomfortable. You can easily rely on us ... our drivers will accompany you to the front door of the airport and will be punctually waiting on your return. Make your holiday start from home! We also specialize in offering an efficient, professional service for individuals, if you wish to organize a comfortable, safe pleasure or business trip, travelling in a prestigious car in complete relaxation. Our staff can accompany you to the hospital or offices for bureaucratic paperwork and help you fill it out, if necessary. Your most beautiful day in an elegant, high-class car. GC Noleggio Auto ensures attention to all those details that make the difference in a special day. We propose tours in the splendid cities of the "bel paese" and you can choose from the various offers or personalize them based on your needs. Your customers visiting on business can take a relaxing and engaging tour, combining shopping culture and entertainment. Our drivers will take you to your destination, dinners and galas; they can accompany your boys to the discos, and they will return safe and on time. They can guide and accompany you during shopping in large cities, avoiding the stress of finding parking and the inconvenience of public transport. You will have a discrete, trustworthy person who will accompany you everywhere with the confidence and elegance that distinguishes us. Our staff will accompany you to the places of your choice, wait for you and then take you home, without worrying about the severe laws against driving under the influence of alcohol and letting you enjoy a carefree evening.